Our finance department professionals are here to assist you with that car loan! We'll happily sit down with you and go over the application process and explain all the credit terms in an easy-to-understand way so that there are no surprises down the road. Our team of experts has helped a number of drivers that hold less than perfect credit scores, so even if you're dealing with a repossession or foreclosure, we can help! Allow us to go over your credit information by filling out our online credit application here on our website, or make the short trip over from Winston-Salem to our High Point, NC location and fill out your application here at our dealership. We'll get to work as soon as we receive your material and will contact you when we have some comprehensive options to go over! 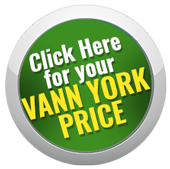 Vann York Nissan dealership is committed to assisting our loyal clientele and we can't wait to bring our expertise to your specific credit situation. Don't let a strict budget determine what kind of car to lease, instead, tell us about the model that has caught your eye and we'll work tirelessly to make that dream a reality! Take charge your credit rating and financial future, visit our finance department today!